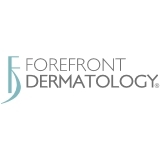 Forefront Dermatology (Bolingbrook) - Book Appointment Online! At Forefront Dermatology, you will be pleasantly surprised to find that coming to our office feels like a "house-call of old". We are a practice dedicated to providing the highest level of medical, surgical and cosmetic dermatologic care. Dr. Chittineni ("Dr. C") and staff will help make your office visit a pleasant and informative experience. Our goal is to attend to your skin care needs in a comprehensive and compassionate manner. While we pride ourselves on the advanced techniques of diagnosis and treatment that we utilize, we take equal pride in our skills of listening, educating, and working in partnership with our patients. We take our satisfaction in knowing that you, our patients, are satisfied. The staff, including the doctor, were highly professional and sincere. Felt a little rushed, but the doctor slowed down to answer questions and make me feel at ease.